This slideshow presents some of today's most popular engagement ring trends. Every bride-to-be has her own personal style, but it is often enlightening to look at the most popular ring designs, precious metals, and types of gems that are preferred by today's distinguished brides. Click on 'buy now' to be taken directly to the available retailer for purchase. This princess solitaire engagement ring has a carved band. The ornate vintage style of this ring has made a comeback. This three stone ring uses a raised 14k gold setting. This eternity ring is set with diamonds and yellow sapphires. Invisible set princess diamonds in a white gold band is stunning. Three-sided pave setting with a solitaire diamond. Emerald engagement ring with sparkling diamond accents. This engagement ring has a half moon accents to set apart the center stone. Twisted infinity bands are symbolic as well as beautiful when they are set with diamonds. 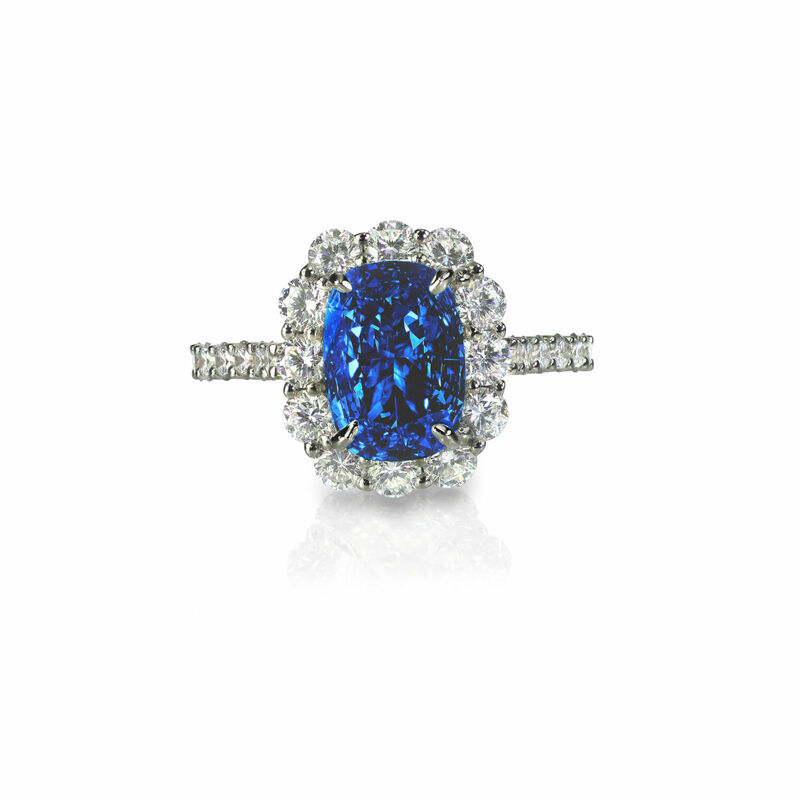 This three stone ring has both white and vibrant blue diamonds. Tension set engagement rings are an elegant recent trend; this ring sets the solitaire diamond in titanium. Halo diamond ring with pave setting. Want to know more about engagement ring trends? Check out celebrity replica ring pictures for the latest Hollywood styles.